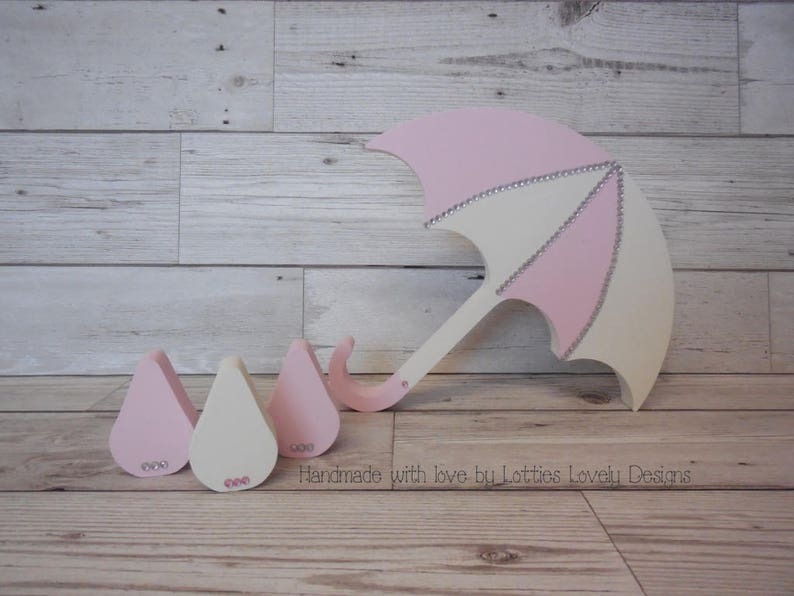 These would make a lovely nursery gift set to place on a nursery shelf. 4 pieces Umbrella 15cm tall & 3 raindrops 5cm tall. Painted in pink & cream with added crystals but these can be painted in any choice of colours please get in touch if you would like an alternative colour. Please note this is a decorative piece & not meant as a toy. We smile to the sky and think of you engraved remembrance freestanding cloud. Memorial cloud.